Web apps are becoming a popular presence on websites. They promise a cost-effective, low-maintenance way of adding functionality for a business’s customers. From shopping carts to online learning systems to voting tools and more, they can provide a better way to complete tasks online. As a result, you are likely to find yourself developing a web application for your site sooner rather than later. The process requires you and professional web application developers to work together to craft an app that will serve your business well. Successful web app development also requires an understanding of how the app can effect to your search engine optimization efforts. Through the help of a skilled web development firm, you can obtain an online application that not only serves users well but also succeeds at SEO. Web app development begins with planning. There are four elements you must clarify for your web application developers: Purpose, audience, functionality, and SEO. By carefully defining these elements, you enable developers to create the most effective app possible. The first step in planning your web app is to define its purpose and goals. For instance, if you are adding a shopping cart to your site, you might describe its purpose as “to improve the speed and ease with which visitors navigate the purchase process in order to increase sales by x percent and to reduce shopping cart abandonment by y percent.” Other potential purposes for a web app include capturing qualified leads, improving access to certain parts of your site, or building an email list. Once you know what your goals are for your web app, you can write them down. Include specific objectives in this document and include a timeline for the project as well. This document will serve as a written record of your goals. You and your web development firm can then use that record to guide the rest of the development process. Since there can be many ways to develop website tools, your web development team should be aware of your goals. Once you know what your purpose and goals are for your web app, you will need to define who will be using it. Be as specific as possible. Include the users’ genders, ages, and any other information that you think will impact how the app is designed. In addition, estimate the percentage of users who belong to each group (i.e. “50 percent of our users will be women between 25-35, while 35 percent will be women between 18 and 24,” etc.). Since each group will require slightly different things in order to benefit from the app, knowing who you want to reach will help your web application developers to create a more targeted product. Defining your audience should also include evaluating the security risk that each audience presents. For instance, you need to determine how often security breaches occur among the type of audience you wish to serve with your app. In addition, you need to determine how often security breaches occur within the industry that your app inhabits. This information will help you and your web application developers to determine what kind of security measures to build into the app. In addition, you will need to determine exactly how your audience will be accessing your app. In particular, you should determine whether your audience is coming to the app via the Internet, an intranet, or an extranet. This information will let your web application developers know which browsers will be used to access the app. Before you begin to develop your app, you will also need to define its functionality. This means that you will have to anticipate potential user behaviors and how the app should respond to those behaviors. For example, if you are creating a contact form, you might write something like “Once the user clicks on the contact form link, the contact form opens on a new page.” This information should be recorded in a document that your web development firm can then use to guide their creation of your app. This document may be extremely detailed (and lengthy) because it must outline all potential user behavior. However, it is valuable in that it creates a comprehensive picture of what the app must be able to accomplish. As a result, it allows your web development firm to create an app that does everything you and your users need it to. Finally, planning your web app must include careful thought as to how the app can be optimized for SEO. Your web application developers should be able to help you with this step. There are many areas of web app development that can be tweaked to improve the app’s SEO performance. Everything from HTML to title descriptions to coding can be leveraged for better search engine optimization. However, doing so requires planning ahead so that the necessary changes can be built into the app itself. For instance, if you are creating titles, you should know which keywords to focus those titles on. If you are going to write HTML, you need to choose a system (such as PHP) that allows you to minimize unnecessary information and maximize efficiency and speed. The result should be an app that contributes to your website’s overall success. The next step in creating a web app is the actual development work. In this stage, your web application developers bring the app into existence. The end result should be a solid working version of the app that can then be tested and tweaked. This development process, while it requires less direct work on your end, will still require your input and collaboration as the web application developers take your plans and turn them into a functioning addition to your site. Developing your app will require the services of certain third party vendors. There are many potential third party vendors that can support your web app development. A few examples include fulfillment centers such as Shipwire, SSL certificates, and merchant gateways. The third party vendors you will need will depend upon your app. This is one area where your planning can provide you with the information you need to select the right vendors. Your web development firm may also be able to help you identify which services you need and assist you in locating the ones that can serve you best. The next step in web app development is the creation of a wireframe for the app. This wireframe is a detailed outline of all the elements of the app and how they interact. The wireframe does not possess any design elements (such as fonts, photos, etc.). Instead, it focuses on outlining how the app will function as a whole. Its purpose is to allow the developer to arrange all of the different pieces of the app in the most efficient and useful way possible. It provides a clear visual guide to the app in order to help web application developers create the best possible user experience. Once all of the planning, hiring, and wireframing is complete, the web application developers begin the actual web app development. This process brings all of the elements that you have planned for together into a working web app. This step of the process usually includes the creation of a database structure. Much like a sitemap, it provides guidance for search engine crawlers and users as they find their way around the app. In addition, your web application developers will use many tools to create the web app. For instance, they will write the code needed to create functionality. They will use HTML and other tools to build a beautiful and easy-to-use interface. They will bring all of the planned functionality to life so that the app responds appropriately to user behavior. The result should be a working “draft” of the app that can then be tested. In the planning stage of the web app development process, you strategized with your web development firm about how to incorporate search engine optimization into your web app. It is during the development phase of the project that these SEO decisions are put into practice. For instance, say your web developers chose an HTML system that is cleaner and easier to use. During the development phase, they will use this system to write high quality HTML that leads to faster load times and better SEO performance. 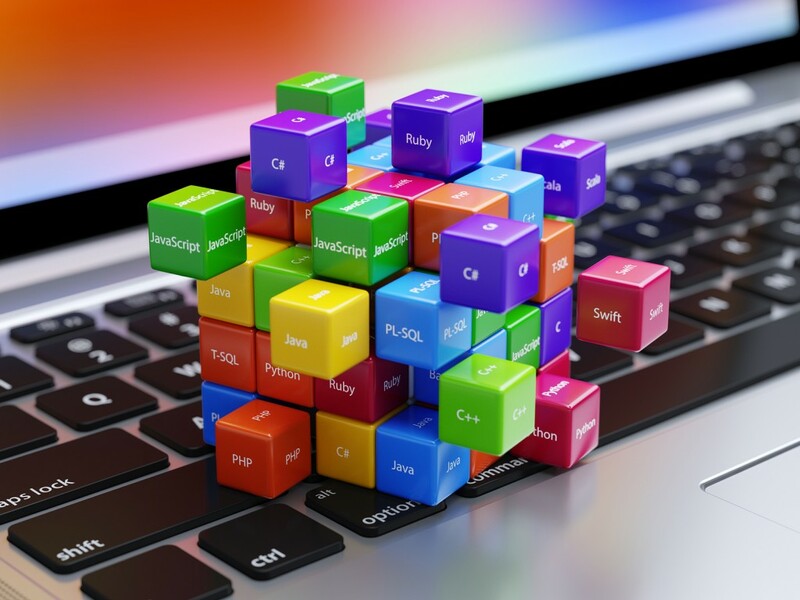 If you chose keywords to use throughout your content, your web application developers will use these keywords to create crawler-friendly titles. The result should be an app that is poised to provide both SEO success and user satisfaction. No matter how skilled your web application developers are, they are not likely to foresee all of the potential problems that may arise within your web app. As a result, it is important to test the app before releasing it for general use. Doing so allows you to discover and fix any problems (called bugs) before they are discovered by the web visitors you need to impress. Beta testing refers to testing that is conducted by someone other than the web application developers. Beta testing your app is important, because it allows you to catch mistakes that someone close the project (such as the developers) may be unable to see. Sometimes, these tests involve releasing the app to a limited number of users. Regardless of which third party does the testing, however, the goal is to locate any problem areas or mistakes so they can be fixed before the app’s release to the general public. Once any bugs in the web app have been identified, the web application developers will conduct any necessary fixes. These fixes should lead to an app that functions smoothly and that is suitable for release to the general public. It is at this point that you can begin to enjoy the positive results that your new web app brings for your business and for your customers. As mentioned above, SEO must be part of the planning and development of your web app. Fortunately, there are many ways that you can optimize your web app for search engine optimization success. Following are a few of the methods you can use to incorporate SEO into your web app. Often, web apps can be accessed using many different URLS (think, for instance, of the many ways in which a shopping cart can be accessed). When search engine crawlers encounter these multiple URLS, they do not know which one has priority. As a result, they split the SEO weight of the app among all of the URLs. This practice has the potential of reducing the SEO impact of your web app. The solution to this problem is to define which URL is the primary (or canonical) one. There are two ways to do so. You can create a 301 redirect from every link to the primary URL. Alternatively, you can add a tag to your primary URL to let search crawlers know which one should be treated as the original. By doing so, you maximize the SEO weight that your app receives. Another way to optimize for SEO in your web app development is to optimize your titles and descriptions. The most important way to do so is to make sure that each page, each title, and each description is entirely unique. The result should be a more favorable appearance for search crawlers and, therefore, better rankings in the search results. HTML, CSS or other coding will underlie much of your web app development, because it defines many aspects of the layout, fonts and colors. Using high-quality web design code that minimizes clutter can improve your SEO performance. In addition, it can speed up your load times to allow your app to work more efficiently. Web app development has the potential to yield a high quality solution that can improve the experience of your visitors and help you to meet your website goals. However, before you begin the process, you need to hire a professional web development firm to help you and collaborate with them through this journey. From planning your app to sketching its wireframe to developing, testing and releasing it, your web application developers can help you come up with a high quality app. When you hire a team that is also skilled in SEO, you end up with an app that can also help you to perform well in the search results and drive visitors to your site.